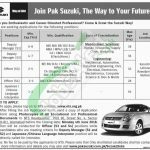 Tap this page for Pak Suzuki Motors Jobs 2018 NTS Online Application & Sample Test Papers. The Pak Suzuki Motors Company is the leading automobile company which is having its name on the peak and is the fanciest automobile company not only provided good products but beside this, the company also provide internship programs, vacancies in this area for the number of the posts. This time the company needs the service of diligent, talented, and adroit applicants are required to fill the following vacant situations which include (Deputy Manager (S1), Deputy Manager (S2), Officer (S3), Officer (S4), Japanese / Chinese Language Interpreter) are the current vacancies which needs to be filled by the eligible applicants. These jobs are based at Karachi/Lahore/Rawalpindi/Multan. All the jobs are on a permanent basis and the applicants who are going to apply must fulfill all the criteria are required to apply as soon as possible. So, let's have a look on its applying criteria and its educational and experience requirements below. For Sr. No. 1 & 2 ME/MS/BE/BS/BSc/MBA/MPA/LLB/LLM/CA/CMA/ACCA/B.Tech (Hons.) is required to apply with 4 to 8 years relevant field experience. For Sr. No. 3 BE/BS/BSc/B.Com/MBA/MPA/LLB/CA/CMA/ACCA/DAE/B.Tech pass having 2 to 5 years relevant experience are eligible to apply. For Sr. No. 4 DAE/B.Tech/B.Com pass candidates having 2 to 3 years relevant experience are welcome to apply. For Sr.No. 5 Matric/Intermediate pass having 1 to 2 years experience are eligible to apply. 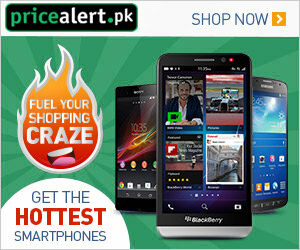 Candidates may apply online at www.nts.org.pk or through web link given at www.JobsAlert.pk. After filling online application form take print of it and submit it along with attested copies of educational and experience certificates to NTS Headquarter, Plot No. 96, Street No. 4, Sector H-8/1, Islamabad. The last date for submission of application is June 04, 2018. Last Date For Apply: June 04, 2018.